Type IIB toroidal orientifolds are among the earliest examples of flux vacua. By applying T-duality, we construct the first examples of massive IIA flux vacua with Minkowski space-times, along with new examples of type IIA flux vacua. The backgrounds are surprisingly simple with no four-form flux at all. They serve as illustrations of the ingredients needed to build type IIA and massive IIA solutions with scale separation. To check that these backgrounds are actually solutions, we formulate the complete set of type II supergravity equations of motion in a very useful form that treats the R-R fields democratically. J.T. Liu and R. Minasian, Higher-derivative couplings in string theory: dualities and the B-field, arXiv:1304.3137 [INSPIRE]. A. Basu, Constraining gravitational interactions in the M-theory effective action, arXiv:1308.2564 [INSPIRE]. D. Belov and G.W. 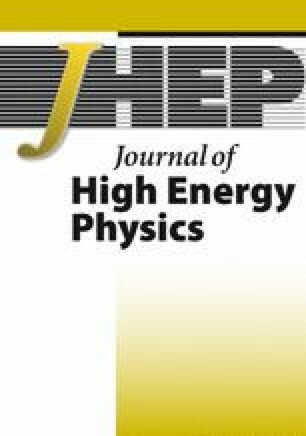 Moore, Holographic action for the self-dual field, hep-th/0605038 [INSPIRE]. D.M. Belov and G.W. Moore, Type II actions from 11-dimensional Chern-Simons theories, hep-th/0611020 [INSPIRE].